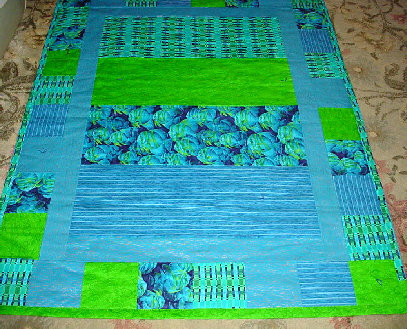 This quilt is shades of blue and green, with fish and the sea as a theme. Front view is on the left; back view on the right. 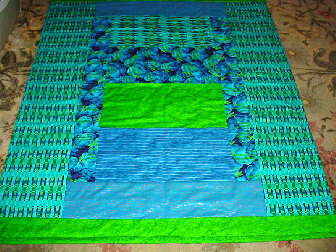 It is 100% cotton and measures 31" x 41", and is machine wash/dry.